Vivian Marie Aubin du Paris: The Quest of Dai: The Eroe - NEW COVER and Blurb! 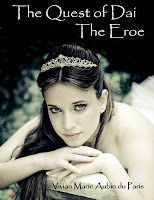 The Quest of Dai: The Eroe - NEW COVER and Blurb! When I first wrote The Quest of Dai: The Eroe and was preparing to publish it, Outskirts Press gave me access to this gigantic website with thousands and thousands of photos, and told me, "Pick one for your cover." There were standard template layouts, and thinking they would have a flat background color with an image set in the middle, I chose a photo of trees (after all, a good deal of the story was her journey through the forest). Now, I didn't just pick any photo of trees in a forest... I poured over those photos for hours. I compared one to another. I critiqued the lighting on one. I agonized over the ground on another. I studied every detail of those photos. And then I found the perfect shot and said, "Yes. This is it." When I saw the cover, I squealed in excitement. To say I loved it would be an understatement. And yet, unfortunately, it turns out I was the only one who felt that way about the cover. "It's kinda boring," I was told, and, "It doesn't really stand out." I was crushed. Especially since I was stuck with it. But with the addition of Kindle and epubbing, that's not the case anymore! Now I have a new cover, at least for the ebook version, and I'm going to unveil it here! As for the blurb... Well, I'm still tweaking it, but if you happen to want to offer any suggestions, I'm willing to listen! The ancient prophecies foretold of her coming. A girl not of their world. A girl who would save them all. A girl blessed by Ai. The oracle says Dai Gold is that girl. Determined to return home, Dai will do whatever it takes to defeat the sinister darkness she knows as the Malo and help her new friends, the Eroe. 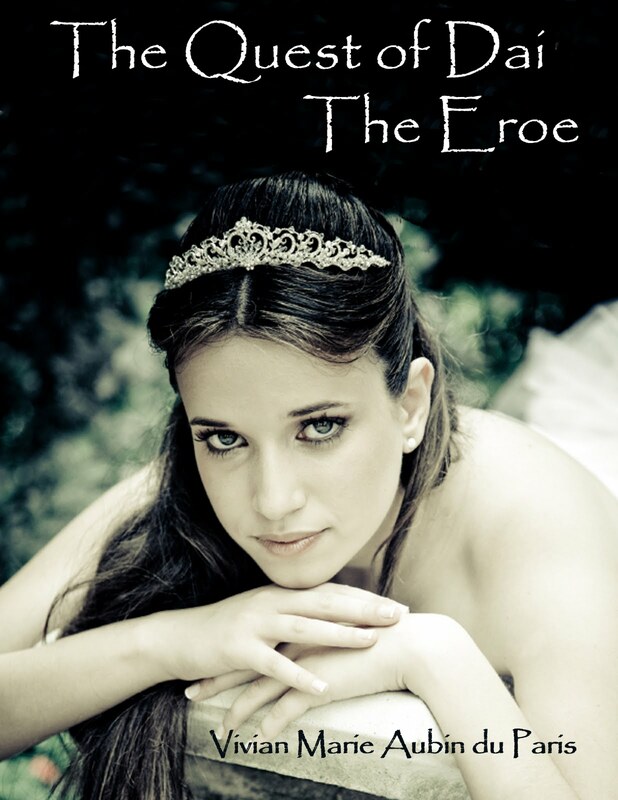 But the longer Dai is in their world, the more she finds herself falling in love with it… and with one of the Eroe. Westly Dante is cold, dangerous, and fiercely protective of Dai. And when the Malo attack, taking the Eroe with them, he is all Dai has left.